When memories fade, percipient witnesses and their kin move onto the outer world, rumors become fact, lore is made, and the truth becomes unverifiable. If the below aerial view of the Hollywood Hills Country Club did not exist, I would almost chalk this one up as myth. The long street to the right is Diaz Canyon (now Coldwater) and the street running through the middle is Ventura Boulevard. If 12744 Ventura Boulevard is not the structure on the second land formation going west of Diaz this alleged 1925 photograph is earlier than 1923. This Miniature Golf Coursesque Building appears in the above aerial view in the back of the middle of the strip which is Ventura Boulevard. Building in the back is in the vicinity North of Ventura Boulevard near Carpenter, in back of the present Firestone Automotive Center. 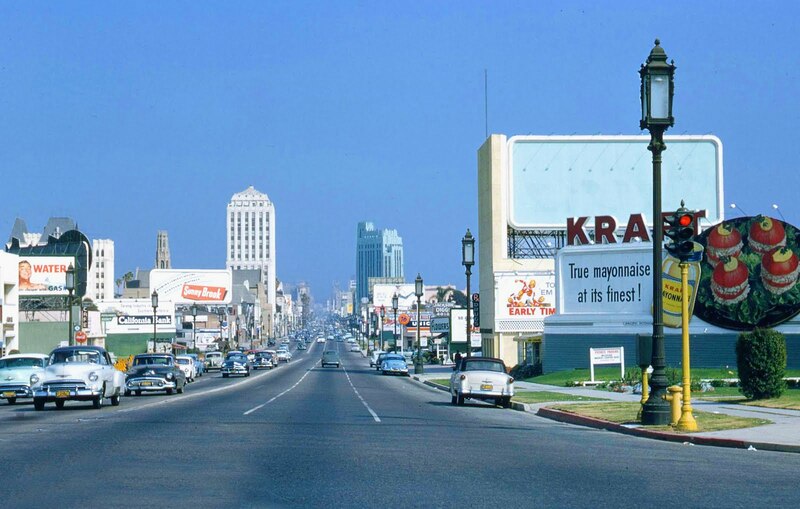 Other than a street called Fairway Drive, which descends down to Ventura Boulevard near Jerry’s Deli, and maybe 12744 Ventura Boulevard, not a single trace of the once expansive country club exists. Over the years Harvard Westlake demolished all traces including the club house, at least three residences, and riding stables. [472-3157] as a member of H H and M M Merrick, CJ Butterfield, Subdividers of the Hollywood Hills Country Club and Studio City Central Motion Picture District. His personal residence is listed at 3404 Troy Drive. This street slightly north and east of present day Universal Studios and merges onto Blair Drive, named after Mr. Blair who was another namesake of development in the area. Fifteen years of historic research into the Hollywood Hills Country Club, consultation with Kevin Starr some years back, and countless conversations with locals have led nowhere. Others have not posited this author’s ultimate question whether the club was genuinely created to espouse country club lifestyle versus the sale of valuable hillside real estate. The country club’s boarders ran from Fairway Drive to the east to Dixie Canyon to the west. From south, Skyline Drive which became Mulholland before the club disappeared, and north to Ventura Boulevard. The land included the Longridge Estates. The December 15, 1922 Van Nuys News reported Thomas C. Bundy and Harry H. Merrick had a luncheon with W.D. Longyear (as in the Longridge Estates) at the Hollywood Hills Country Club. These early editions of the Van Nuys News were little more than real estate aggrandizements masquerading as news. All of these men were local developers. In the 1926-1927 time frames, in separate articles the same newspaper identified Thomas C. Bundy as a member of the Sepulveda Boulevard Association who held on office 15301 Ventura Boulevard (the site of the Sherman Oaks Galleria). He was reported to have just built five, “Spectacular” homes in Sherman Oaks. Did the Hollywood Hills Country Club really exist as a country club, or was it as staged as the 1922 reported luncheon? 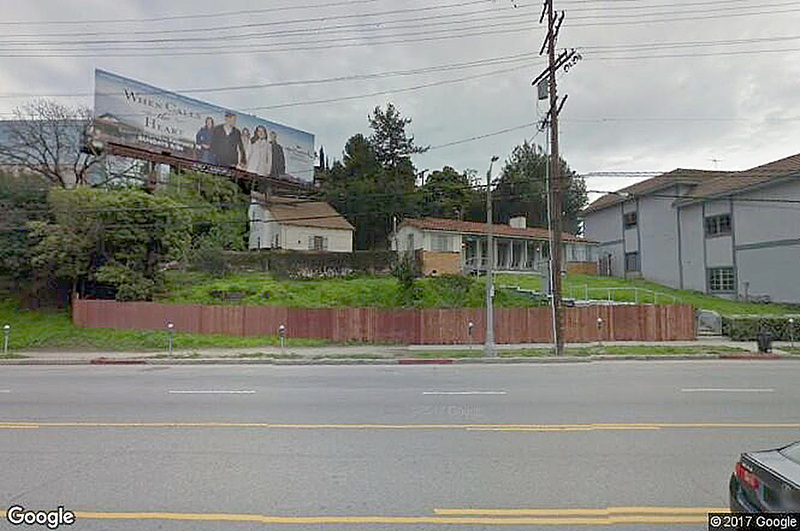 Harry H. Merrick’s land sale office was allegedly located on the Northeast corner of Ventura and Laurel Canyon (Pacoima Street at the time). Did Merrick have an actual office, or was the outdoor kiosk staffed by Mack Senett’s bathing beauties the entirety of the office? 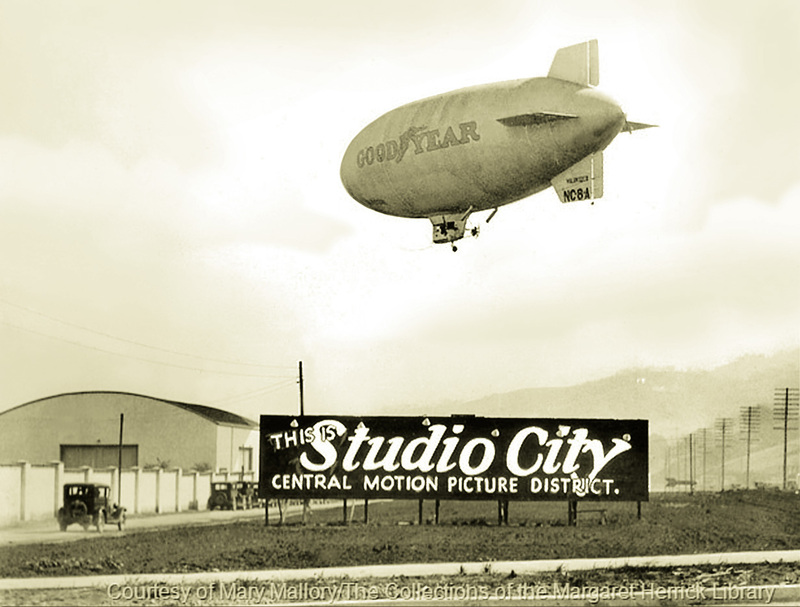 The June 28, 1927 Van Nuys News claims 300 automobile parties inquired about the project, presumably the Studio City land sale and/or Studio City Central Business District. It is not reported whether these inquiries were made in a short period of time. Nor are we told whether the inquiries predominately came from men, driving trucks along the Ventura Highway, who wanted a closer glimpse of the studio beauties in bathing attire. $300,000 in sales was reported in Studio City, presumably the product of Merrick’s genius. The same article references Senator Charles McClay’s first view of the San Fernando Valley in which it was widely others have widely reported he proclaimed, “This is the garden of Eden” when he stood on a hilltop and looked at the San Fernando Valley for the first time. The next article has Charles E. Rachal, president of the Ventura Boulevard Commerce Association and a developer of the Hollywood Hills Country Club predicting a prosperous era for Ventura Boulevard. 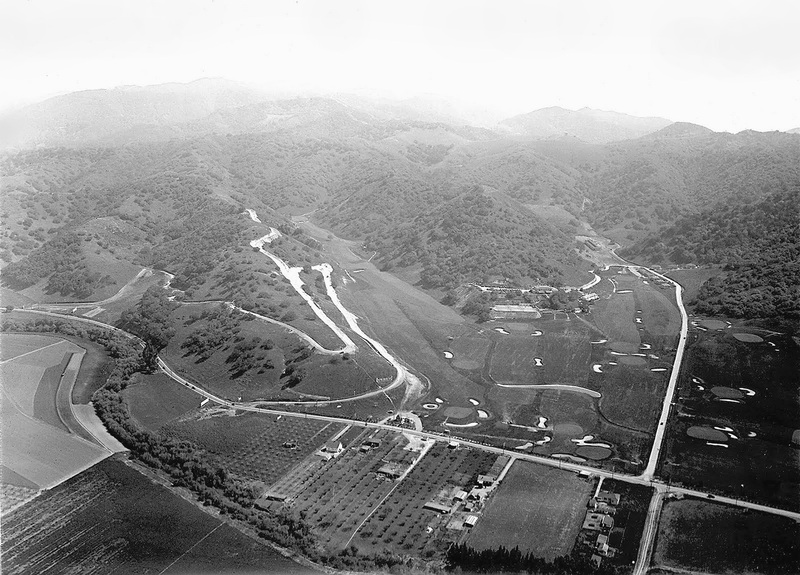 The article concludes with Mr. Rachal’s praise of the San Fernando Valley, “Where the suburbanite is offered every type of country home from picturesque hillside residence to the little farm of one to five acres. Next, there is an article about Encino being a thriving Ventura Boulevard city. The potential 1-2 bedroom home depicted here was graciously knocked down by Harvard Westlake. 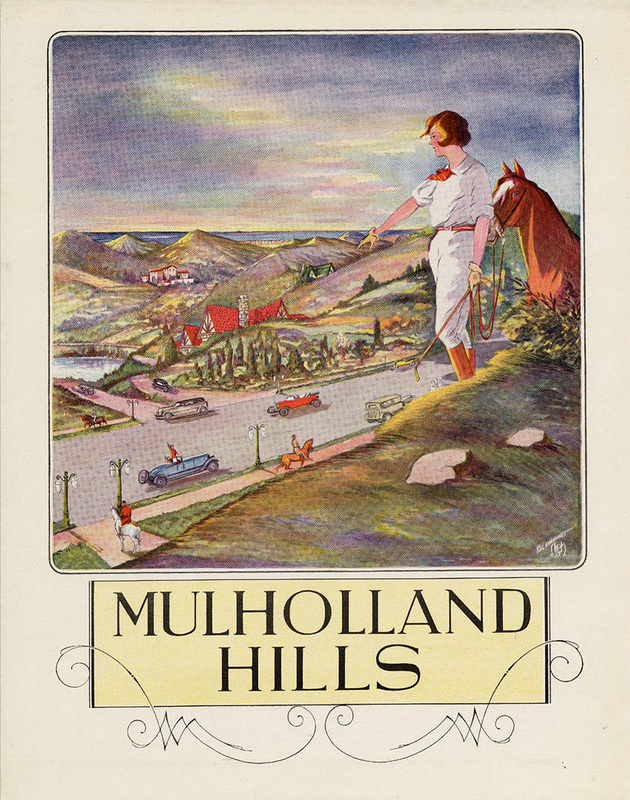 For reasons unexplainable to some, over the last fifteen years this author has been unable to locate a single picture of a Hollywood Hills Country Club golfer or horseback rider other than the below promotional which does not depict the natural geography of the area. The September 30, 1927 edition of the Van Nuys News contains a headline referring to Girard as a land, “Barren” [SIC] who built a town where only weeds grew. The newspaper article refers to the town’s location as, “Most strategic.” Girard is the original name for Woodland Hills, approximately twenty six miles from Los Angeles. Although far from Los Angeles, Girard was close to Calabasas. Still, by the teens was viewed as an outlaw retreat, a place a woman should never go, a place one would most likely be murdered. Girard’s land sale of has been called extraordinary fraud. 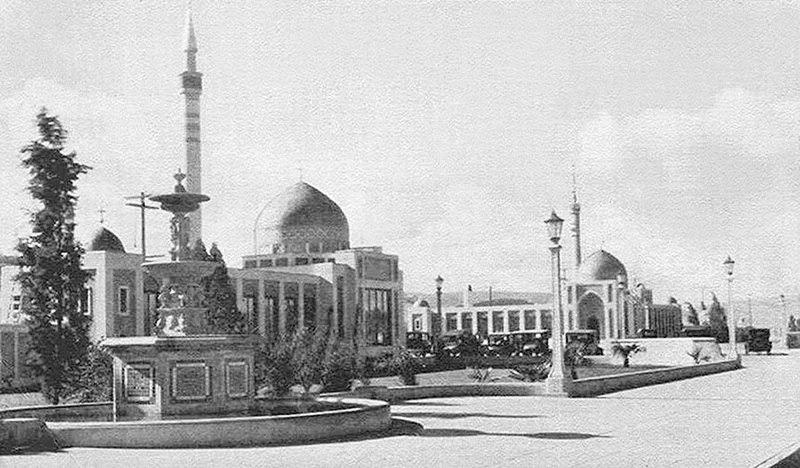 The busload of tourists he picked up in Los Angeles, or nascent Hollywood, was driven through a fake mosque like village. The bus driver proclaimed the business district, surrounded by nothing for miles, was bustling. Actors played storekeepers. The village did not do commerce and the buildings were not stores. Girard ultimately resold the same 3,000 square foot hillside lots, set in a fire prone area. During this same period, in the new Lankershim and Van Nuys townships closer to Hollywood lots 15-150 times larger were sold to single buyers. The Hollywood Country Club appears first on the list, and Girard last. These golf courses are labeled, “Some of the finest golf courses in the state.” Dubrock’s Riding academy is described as near the Hollywood Hills Country Club. It was on Fulton and Ventura in the vicinity of Dixie Canyon Elementary School and St. Franics de Sales. Several facts corroborate the existence of the Hollywood Hills Country Club, whatever it was. Numerous articles report luncheons at the country club. As time progresses, the attendees are not merely local developers. A much later article reports the ex-manager of the Hollywood Hills Country Club moved over to the Holly Heights Country Club, a later name for Dobrick’s Riding Academy which was also Rudy’s and the Hunt Club all in a fifteen year period. Reports about the Hollywood Hills’ clubhouse and perhaps a better club house exist. In 1973 Harvard Westlake knocked down a 120 by 50 foot building, 20 feet in height which went through the Cultural Heritage Board, and may have been the clubhouse. There are not any inside pictures of the clubhouse. Needless to say the brochures for the country club and subdivision feature artist renderings and a few vague photographs that show barren hills opposed to a glistening club house pool. The July 18, 1932 Van Nuys News reported a reorganization of the Hollywood Hills Country Club. The August 9, 1937 edition claimed “Harvard School Buys Hollywood Country Club.” The article chalked the situation up to, “Country club fever” that infected the foothills of the San Fernando Valley not long ago. By 1937 the first homes on Longridge were built, soon followed by Alomar Drive which springs off Longridge Street. By 1938 Dickens and Greenleaf were streets with a few homes. Lots on Sunswept and Fairway had been sold during the 1920s and 1930s. Many lots had been sold on Dixie Canyon by the mid-1920s. By 1929 Mr. Blair moved to 3851 Avenida Del Sol, another populated street adjacent to the country club. Unlike the developers of today, pre-World War II developers generally only sold the land. None of the permit records in the Sherman Oaks and Studio City developments bore the names of the developers or their construction companies. The addresses associated with the developers, where they allegedly lived, lack original permit records. Original permits and a certificate of occupancy for the Universal City home of Merrick cannot be found. The same for Mr. Blair’s Avenida Del Sol home which even by today’s standards is a grand home. One must wonder whether the sites of these developments were so remote nobody noticed the construction. In the case of Girard it is unlikely the village would have passed inspection. 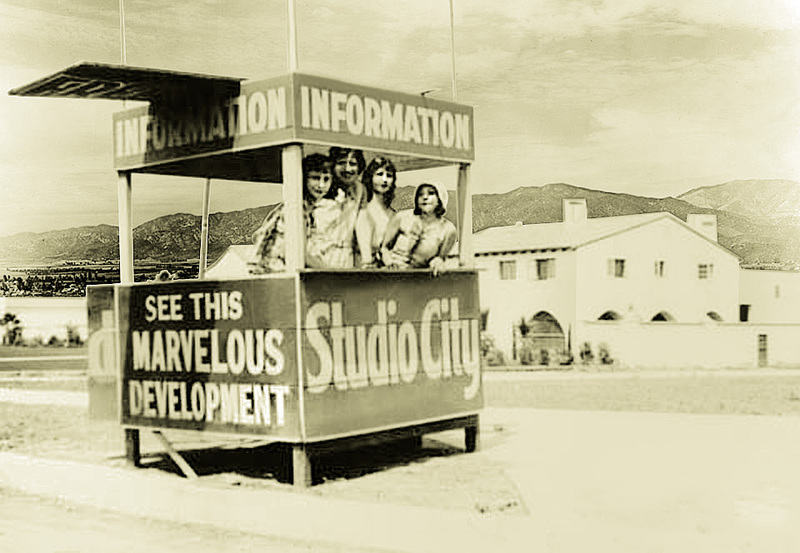 Going into this article the author hardly expected to conclude the Hollywood Hills Country Club might have been more of a real estate promotional than a bustling example of bucolic entertainment. However, logic and reality set in while writing this article. References to the county club were always surrounded by over the top real estate promotionals extoling the virtue of the area. In a fifteen year period of time not a single picture of real horseback riding or golf playing was located. At close inspection, the holes on the golf course are more than perplexing. Although Diaz did not connect with Cold Water (not Coldwater yet) Diaz was a street paved for automobile travel. Why would golfers have crossed this street to golf on the numerous holes on the other side of Diaz Canyon? Other than to attract northbound travelers on the Ventura Highway, why are there courses a car length from Ventura Boulevard? Most perplexing are the elevations. Courses are spread on differing parts of steep mountains. Access routes are not apparent. Presuming horses were used in lieu of golf carts, the golfers were more interested in riding ridges than playing golf, and golf could be played on ungraded treacherous hillsides the trek between holes is on the absurd side. The distance from east to west is well over a mile. The distance from north to south exceeds three miles. Why would a champion sized golf course simply disappear without a trace? Where in the world would the money come from to maintain a course of this size, in such a desolate place? Did the depression kill what would have been a golf course on par with the Rivera Country Club in Brentwood, or the Bel-Air Country Club? Was the club a half serious attempt at a country club, complete with club house, bolstered by numerous courses in inaccessible areas merely to lead home buyers into believing they had a view of an up and coming golf course? The residents of Los Angeles may never know.